This is what I think of when I hear politicians say they oppose legal recognition for gay unions because this is no time for a radical experiment in marriage or whatever. What would a radical experiment in marriage actually be? 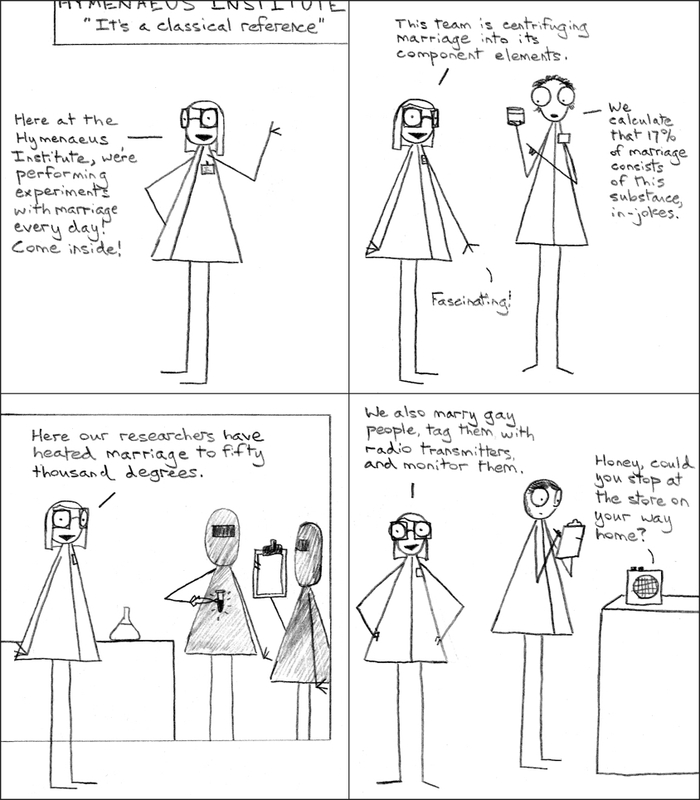 Is marriage something you can grow in a petri dish, maybe?